Chemical Exchange Saturation Transfer (CEST) imaging has emerged over the past decade as a new and innovative MRI contrast method, specifically designed for molecular imaging. This original approach can detect small amounts of contrast agent through saturation of fast exchanging protons, allowing for a larger number of imaging schemes and techniques. CEST particularly benefits from high magnetic fields, such as 11.7T in the research presented. Thanks to optimization of the saturation parameters (e.g. saturation intensity, offset and duration), it is possible to probe different exchanging protons. Thus, CEST offers the possibility to detect a large variety of metabolites including glutamate, glucose, or creatine. This confers to CEST the potential to provide valuable clues about various pathological features in a single experiment. 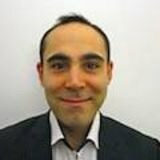 In this webinar, Dr. Julien Flament of Molecular Imaging Research Center (MIRCen, CEA), Fontenay-aux-Roses, France, will present an introduction to the theoretical background of Chemical Exchange Saturation Transfer (CEST) imaging and its potential in neurodegenerative disease research. This Webinar is of interest to researcher and professionals working in the field of neurodegenerative diseases including people using CEST imaging.